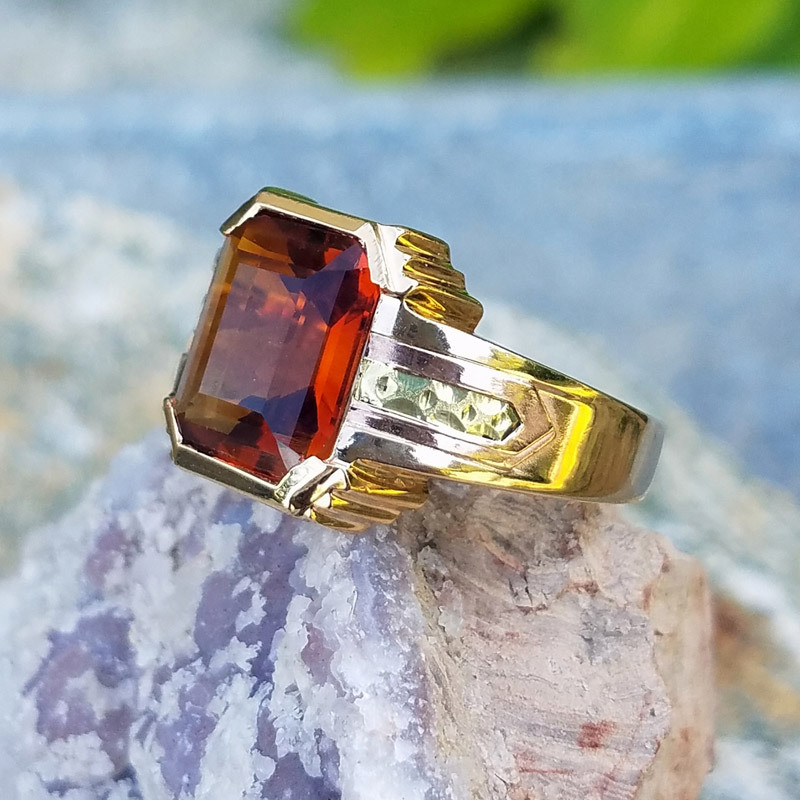 Vintage Men's 10k gold ring with partially bezel set citrine. 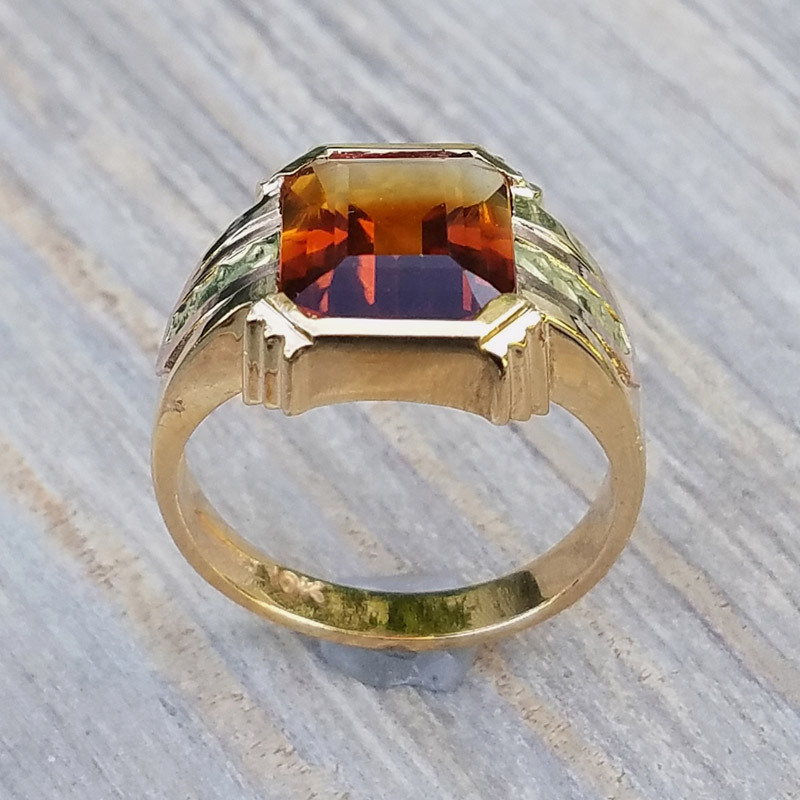 The stone is 12mmx10mm emerald cut. 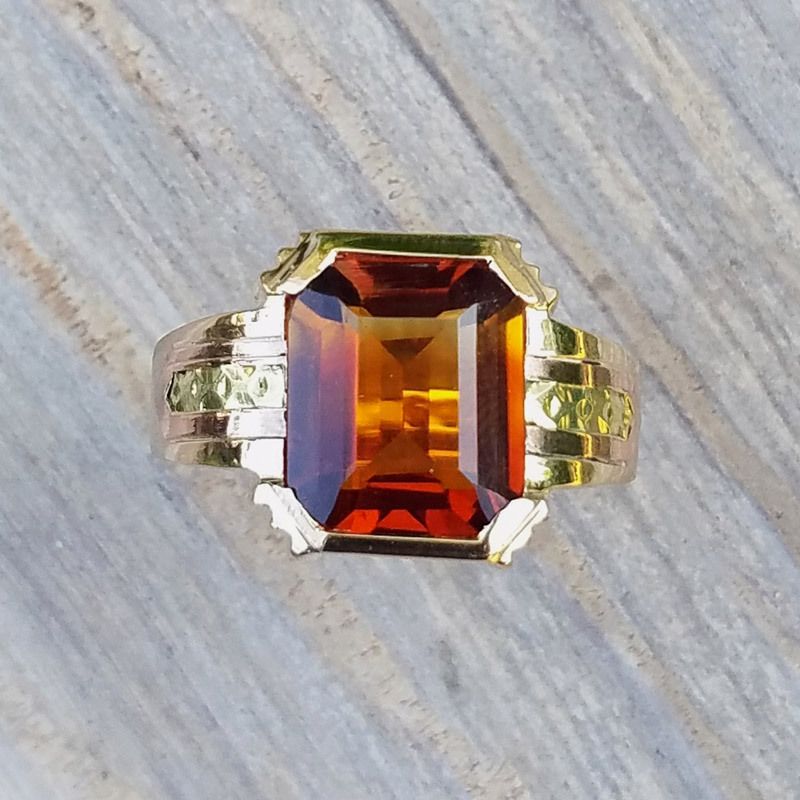 Ring mounting is 10k yellow gold with rose and green gold detail on either side of the center stone. 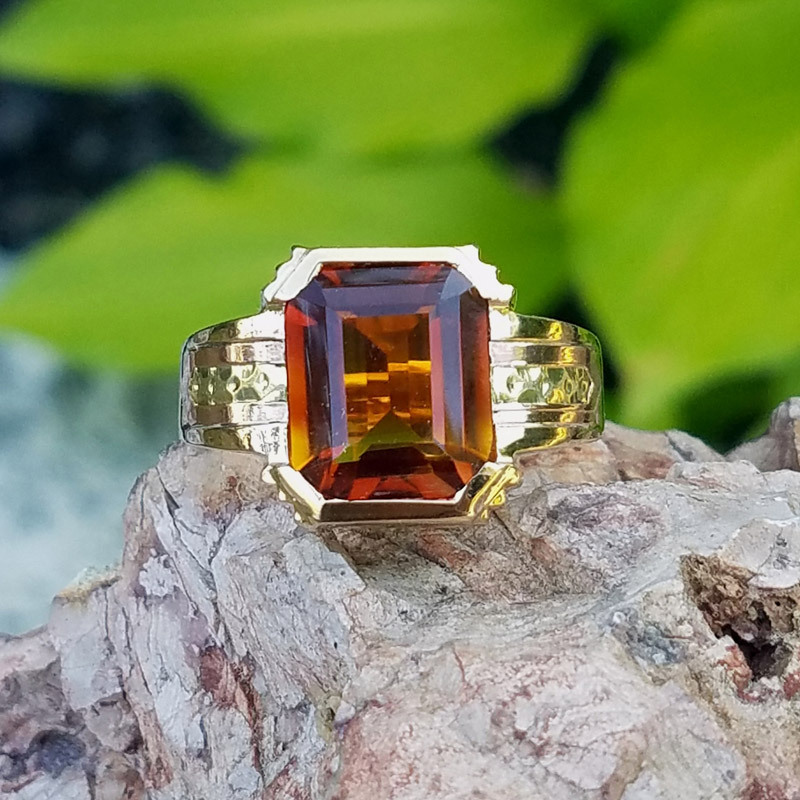 The ring is currently size 10.25, please inquire for sizing.